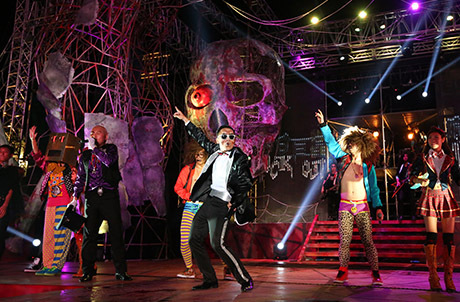 (30 October 2012, Hong Kong) More than a thousand Ocean Park Halloween Bash visitors joined hip ghouls and ghosts in a large-scale “Gangnam Style” dance performance last Saturday, creating hauntingly memorable Halloween moments together. 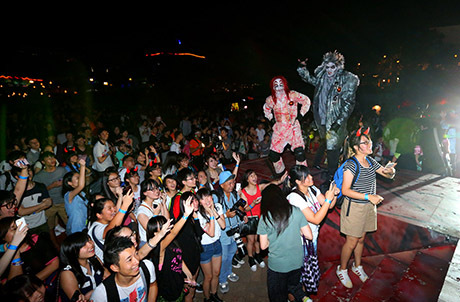 Inviting more fans to create yet another cool and spooky sensation, Ocean Park will stage an additional large-scale “Gangnam Style” dance during the Rock Out Live show at 11:30pm tomorrow. 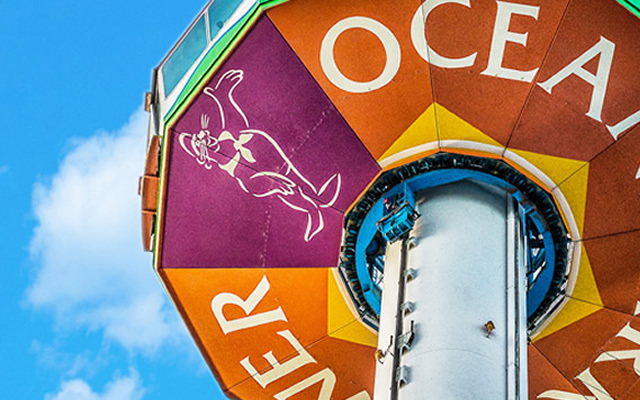 What’s more, Ocean Park will have a special treat for you – Ocean Park Halloween Bash icon St. Law Lan will revisit the park and make an appearance during the Rock Out Live shows at 6:30pm; 7:45pm; 9:00pm; 10:15pm tomorrow. Guests will have a chance to get frighteningly up close and take pictures with the legendary St Law Lan! 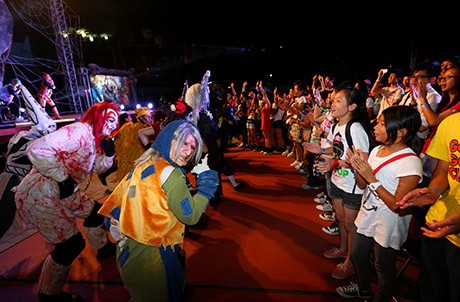 Photo Caption: More than a thousand chic visitors joined hip ghouls and ghosts in a large-scale “Gangnam Style” dance last Saturday, creating hauntingly memorable Halloween moments together.